Looking after a naked girl he found washed up under Hastings pier isn't exactly how Rory had imagined spending his sixteenth birthday. But more surprising than finding her in the first place is discovering where she has come from. 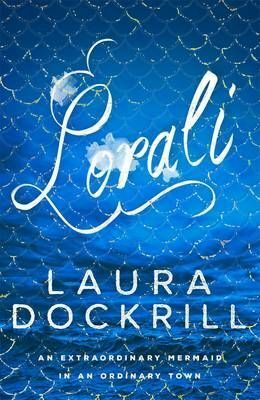 Lorali is running not just from the sea, not just from her position as princess, but her entire destiny. Colourful, raw, brave, rich and fantastical - this mermaid tale is not for the faint-hearted. Looking after a naked girl he found washed up under Hastings pier isn't exactly how Rory had imagined spending his sixteenth birthday. But more surprising than finding her in the first place is discovering where she has come from. Lorali is running not just from the sea, not just from her position as princess, but her entire destiny. Lorali has rejected life as a mermaid, and become human. But along with Lorali's arrival, and the freak weather suddenly battering the coast, more strange visitors begin appearing in Rory's bemused Sussex town. With beautifully coiffed hair, sharp-collared shirts and a pirate ship shaped like a Tudor house, the Abelgare boys are a mystery all of their own. What are they really up to? Can Rory protect Lorali? And who from? And where does she really belong, anyway?